These services help to manage stress and encourage the development of positive and resilient lives. We are a community advocate in the field of mental health and suicide prevention in Belfast. We support people through funding provided by The Executive Office through the Victims & Survivors Service (VSS). 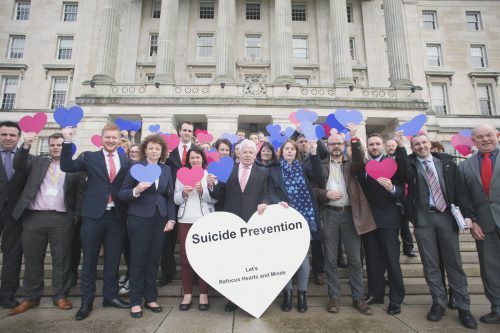 We also receive funding from the Belfast Health & Social Care Trust to deliver complementary therapies to support those experiencing poor mental health and from the Public Health Agency under its Protect Life suicide prevention strategy. We are a BH&SCT Primary Care Talking Therapies Hub provider delivering services across the city of Belfast to meet the needs of individuals who are experiencing common mental health problems. North Belfast’s experience of conflict and trauma is significant and is borne out by poor health and life indicators. Out of the recorded 3,532 overall conflict deaths, 1,541 people killed were from North and West Belfast. Within a square mile of the Ashton Centre 635 people were killed and 2,500 people injured. The scale of conflict-related trauma in North Belfast was arguably immense. We are a key strategist and strong community advocate in the field of mental health and suicide prevention especially in the Belfast area. Lobbying for change is a significant part of our strategic direction and is informed by local need and pressures. 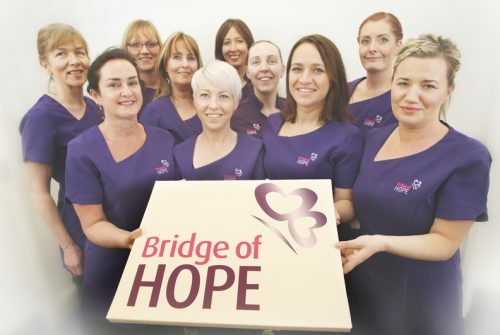 Bridge of Hope operates locally from the Ashton Centre in Churchill Street, 16 Alliance Avenue, McSweeney Centre in Henry Place and 164 Duncairn Gardens. We provide services in our Ashton Clinic and Alliance Avenue premises. Outreach sites include: Shankill Women’s Centre, Falls Women’s Centre, Tar Anall, Sally Gardens Community Centre in Poleglass, GRACE in Ardoyne and Carrickmore in County Tyrone. Individuals can self-refer into services or be referred by a friend, family or community group. Alternatively we welcome referrals from VSS, GP, social worker or other health professionals. We offer a range of evidence-based therapies including massage and reflexology. You will unwind in an unhurried atmosphere of comfort and care, leaving the stresses of the everyday world behind you in our relaxing therapy centres. The primary purpose of these therapies is to encourage and promote relaxation of the body and mind. This is based on the view that the mind and body are inextricably linked and the health of one is interdependent on the health of the other. Bridge of Hope’s physiotherapy programme is delivered by specialist musculoskeletal physiotherapist Francis McMonagle, Trauma and Orthopaedic outpatients department, Mater Hospital. Those eligible for support include those individuals physically or psychologically impacted by the conflict who are experiencing symptoms such as chronic pain. Individuals can self-refer or be referred in by a health professional, family member, friend or community organisation. Life coaching is a practice that helps people identify and achieve personal goals. It aims to support and help the individual set and reach goals using a variety of tools and techniques. We started delivering community based life coaching services in 2006. Life coaching can help individuals move forward with an increased positive mental attitude, and enhanced levels of determination to create a better present and a more positive future for themselves, family and those around them. Life coaching centres around three core issues, positive thinking, changes in attitude and positive actions. Taken together these represent a powerful methodology for moving forward. We provide psychological therapies in a warm, safe and supportive environment to individuals of all ages. There are times during our lives where we may experience emotional difficulties due to circumstances or events that have occurred recently or in the past. Counselling is an opportunity to work through such issues in a non-judgmental way. All of our practitioners are fully accredited and work in accordance with ethical standards as outlined for example in the BACP Ethical Framework for Good Practice in Counselling & Psychotherapy. Bridge of Hope delivers professional accredited training in Reflexology and Swedish Body Massage through the Vocational Training Charitable Trust (VTCT). We are an accredited VTCT learning centre and have been training individuals since 2003. These courses begin each September and run for 30 weeks on a one evening per week basis. They are funded by the VSS and facilitated by professional and fully trained trainers. The Level 3 Diploma in Reflexology is one of our most popular and most study-intensive courses. 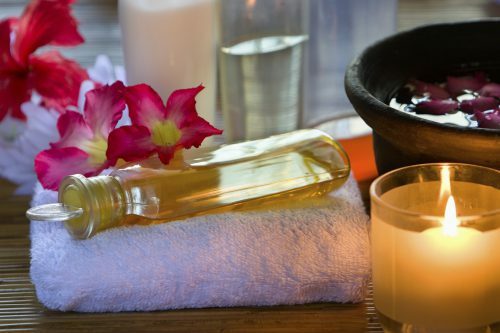 The Level 3 Certificate in Swedish Massage is a specialist vocationally related qualification and it will enable learners to gain skills, knowledge and understanding required in order to perform Swedish massage treatments for clients. We also offer the Level 2 Award in Thermal Auricular Therapy also known as ear candling. Bridge of Hope delivers resilience, stress management and personal development programmes regionally. There are a wide variety of courses available and each one offers its own benefits to the participant. They vary in length too – for example from a one day course to a 6 week programme. All courses are designed to alleviate stress, strengthen confidence and build resilience. At Bridge of Hope we take a holistic approach to health and well-being. 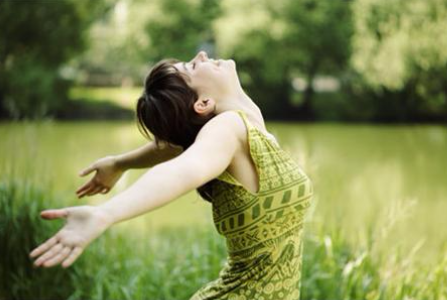 Our programmes treat the body and mind as a whole and aim to provide the tools to help you feeling positive. There are no previous skills or qualifications required to register for any Bridge of Hope programme and our highly qualified tutors facilitate a bespoke course every time. Mindfulness – Mindfulness seeks to develop and nourish present moment awareness. Bridge of Hope offers mindfulness training in various programme styles. By practising mindfulness it can lead to less worry about the past or future; less criticism of self and others; more acceptance of the present moment as it is; developing a different way of relating to and coping with emotions, and a greater sense of being a part of life. Empower Me – A one day course which aims to empower the individual to make positive, proactive and lasting changes in their lives. Resilience & Emotional Management Programme – This one day course helps to identify personal strengths and is relevant if you are interested in learning how to become more resilient in dealing with life’s challenges. The course covers these issues: How to create resilience, How to set goals and How to create an action plan. Relaxation De-Stress SWAN Programme – This one day course involves yoga stretches, meditation, body and mind awareness, life coaching using the Strengths Weaknesses Ambitions Needs (SWAN) technique and also head, neck and shoulder massage with acupressure points. Understanding Stress for Personal Growth – This course focuses on stress and how it affects people, as well as giving practical, effective tools to deal with stress. 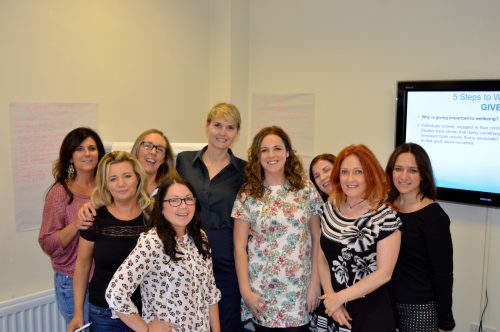 It is delivered by a team of qualified personal development trainers including a life coach and complementary therapy practitioner. Love Yourself Heal Your Life – This two day residential workshop is based on Louise Hay’s bestselling book You Can Heal Your Life. It has helped thousands of people make positive changes in their lives. The workshop helps you gain deeper insight into old patterns and gives you the tools and techniques to release more fully. Reducing Stress for Women – This women only six week workshop teaches the techniques and strategies to help lead a more balanced joyful life. Women often feel stressed by work-life balance issues as they juggle family, commitments and jobs. In order to give your best to all areas in your life this course works to provide some techniques for dealing with daily demands. Take 5 Resilience Training – The Take 5 Steps to Wellbeing campaign is designed to help individuals and communities to develop emotional resilience and well-being. The Take 5 steps are: Give; Be active; Connect; Keep learning; Take notice. Bridge of Hope’s Take 5 Steps to Wellbeing Training looks at practical ways the 5 steps can be incorporated into everyday life. Communication & Confidence Workshop – This one day workshop aims to provide tools and techniques to help improve confidence and communication skills. Whether you’re working on your own self-esteem or building the confidence of people around you, this workshop will help you focus on what is important for your own journey of personal development. Bridge of Hope is actively engaged in researching the impact of the conflict in local communities. 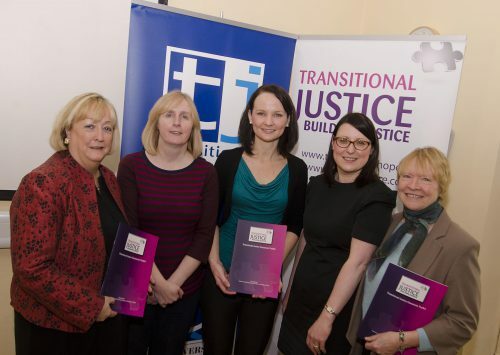 Our Transitional Justice Grassroots Programme, a partnership with the Transitional Justice Institute at Ulster University is aimed at empowering post conflict communities. Other conflict legacy programmes we have created and deliver include ‘Who am I?’ and ‘Making Sense of the Past in the Present’. Bridge of Hope is committed to providing the highest quality services to those who need them. If you think you may benefit from our services and would be interested in referring yourself please contact us and a member of our team will be happy to assist you. 164 Duncairn Gardens, Belfast, BT15 2GN. Tel: 028 9074 6737. Life Coaching clients: I’m beginning to release old patterns of negativity, I’ve learnt so much about myself; I feel my life goals are more achievable, I am better able to focus. Therapy clients: Stress levels reduced, aches and pains reduced, feeling more relaxed; I feel less tension in neck and shoulders; Definitely seen an improvement in my mental health; Sleeping better physically and emotionally improved; Less stress and calmer; Less stress, taught me coping mechanisms and improved health; Helped me through a hard time in my life; Coping better with life and stress; Helped me to relax more and take time for myself; Not as easily overwhelmed by circumstances. Training Programme (Louise Hay) participants: I feel a new lease of life; Feel so empowered and free; Realising the connection between your thoughts and your emotions, how your thoughts and feelings are connected; The course has provided me with the opportunity to revisit and put into practice holistic tools in my life; I was amazed at the overall content and delivery of the course, I have learnt a great deal from all the teachers, I have learned how important it is for us all to support each other and the importance of sharing experiences with those around us; Many thanks to all involved; I feel so important and special; I found it very inspirational; I’m going home a new woman it’s helped me find myself.